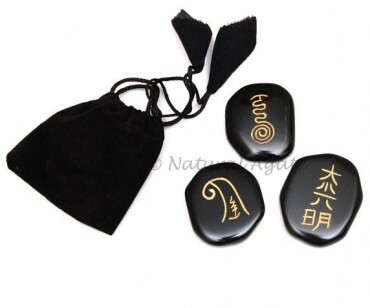 Reiki Master Set includes three stones with symbols engraved, gold-painted on them. These stones are used in reiki to draw energy and channelize it to the client. Get this set from Natural Agate now.